With Donald Trump's inauguration set to take place today, what better way to celebrate a new administration in the White House/four years of political uncertainty with a new VR app that recreates the outspoken figure in startling detail? 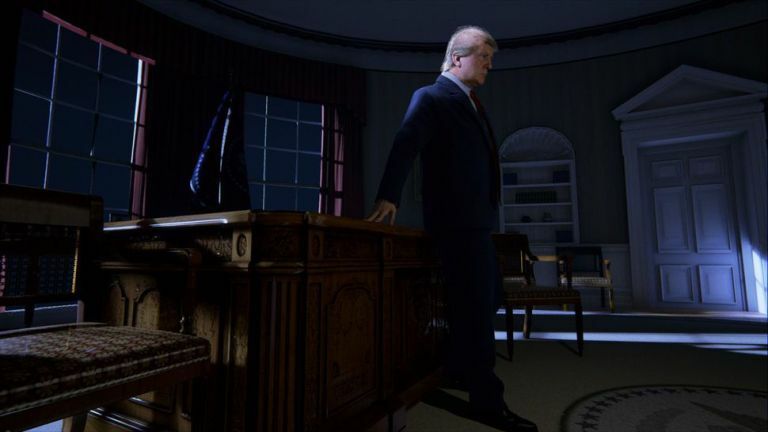 Available on HTC Vive, the Wide Awake app enables you to explore an Oval Office recreated in incredible detail. That photo-realism extends to The Donald himself with the new POTUS rebuilt for your viewing 'pleasure'. It's available now for free, just head on over to Viveport and welcome The Donald into your home. MagNeo, the second most popular campaign to ever hit Kickstarter, is getting a redesign - with a week left to go in its campaign! The incredibly popular USB-C Magnetic Adapter has already smashed its $35K goal, but the team behind it still felt the device's original design was still letting it down. So out goes the slightly dull original take, and in comes a far sleeker reinterpretation. It still does all the same things that made it popular in the first place with the ability to work on all USB-C devices, including phones, tablets, and notebooks- including the new power-hungry 2016 Touchbar MacBook Pro. You can still pre-order one today for $35 (£28) before the campaign finally closes. Pro-Ject has announced its adding some new models to its Essential III range of turntables, including a special edition George Harrison one to coincide with the release of a new vinyl boxset. The Essential III also comes with an MDF platter in black, red and white and a model with an acrylic platter in the same colours. The Essential III retails for £239, the Essential III A retails for £279 and the George Harrison version will set you back £429. The first two are out now, while the GH will be on 25 February (the late George's birthday).